Stinner has partnered with a small number of world-class retailers who deliver an excellent in-person experience, and who can assist you with the process of ordering your Stinner frame or complete bike. If you would like to work with your local shop or fit studio and you do not see them on this list, please let us know and we will be happy to discuss the possibility. Prospective retailers are also encouraged to contact us if interested in carrying our bikes. 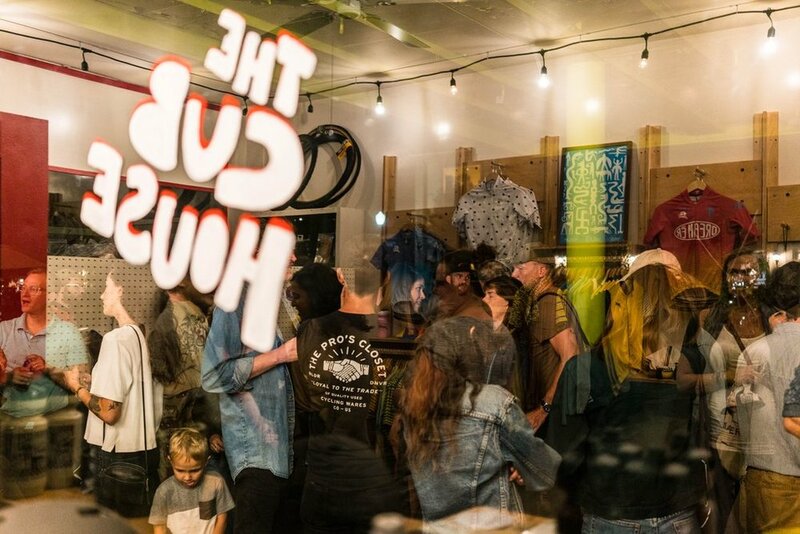 The Cub House is a brand new retailer in northern Los Angeles that stocks its in-house line of Team Dream Bicycling Team kits, amongst other premium cycling accessories, and is appropriately sloganed "It's Not a Bike Shop." Don't let that cheeky saying fool you though, because the individuals behind The Cub House are proud dealers of Stinner frames and will help you order and build up a sweet new handmade bike to ride. Located on the northern end of Los Angeles County, Pedalers Fork is a well-executed combination of bike shop, restaurant, and coffee shop. Pedalers Fork is situated at the base of the Santa Monica mountains, which host a wide variety of world-class road, mountain, and gravel riding. Golden Saddle Cyclery is located in Silverlake, just a few minutes from downtown Los Angeles. The GSC crew is knowledgeable about everything bike-related, thanks to some well-known bicycle industry veterans on their employee roster, and they're located very near the Griffith Park Observatory which hosts some great riding. Studio Velo is located in Mill Valley, in the heart of Marin County California. With the excellent road, mountain, and gravel riding of Mt. Tamalpais just a few miles away from the shop, it's no surprise that Studio Velo is a world-class shop. Their knowledgable staff offers excellent mechanical service, comprehensive fits, and more. Bespoke Cycles is San Francisco's premier fit studio and custom bike shop. Bespoke is just a few minutes' ride from the Golden Gate Bridge and the Presidio area, which accesses the excellent roads and trails in Marin County. Kozmic Bicycles is the premier custom bicycle shop in Seoul, South Korea. Kozmic will be able to ensure that your Stinner order process and build goes smoothly with their excellent customer service and attention to detail! T3 Bicycle Gears is situated along the southern coast of Singapore, and serves as both a custom bicycle shop and the home base of their very own racing squad. They have over a decade of experience in the industry and their friendly staff will provide enthusiastic service throughout your Stinner order process. Concept Speed is a premier cycling retailer in the heart of Thailand's dense capital city, Bangkok. Though a relatively young company, Concept Speed is dedicated to speed, quality, and fun on the bike. In addition to housing an upbeat cycle cafe and hosting some impressive rides all over Asia, they have joined the family of Stinner distributors. Rolling Wheels is a dedicated custom bicycle studio located in China's central city of Xi'an. They are dedicated to the custom bicycle experience and bringing hand-built American frames to the growing craft bike market in China. Stop by their shop and their crew will help you build the bike of your dreams! Saint Cloud Bike Shop is a top-notch Stinner dealer located in the Melbourne area. Their shop is named after the small commune in France that held the first bicycle race in recorded history, and are dedicated to the unique and exquisite aspects of cycling. Not only do they carry some top of the line brands in store and online, they also offer excellent and friendly service to help you build and take care of your custom bicycle. What happens when you combine the love of coffee, group rides, pizza, and high-end bicycles? You create London's one-stop bike shop and cycle cafe, Super Domestique, beautifully situated under a railway bridge. Anyone in London looking for a premier cycle cafe and Stinner ordering experience should put Super Domestique at the top of their list.